Judges, glad to have you back for the latest edition of Judge of the Week! This time around, we’re highlighting someone whose energy and dedication to his craft are off the charts. Elias Fajardo, congratulations for all you do! Level: Officially, L1 since April 2008. L2 October 2011. 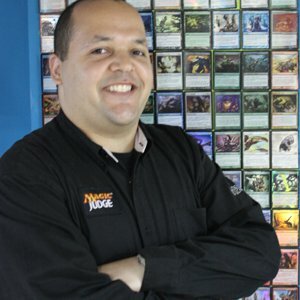 Occupation: By occupation, I work as sales manager at Magicsur, a distributor for WOTC, and the main TCG store in Venezuela. Random fact about yourself: I have a twin brother who’s also a Judge (L1), Pedro Jose Farjado Ponce . I became a Judge, because I liked being at the other side of the table (the other one, being a player), and helping players with issues during their matches. 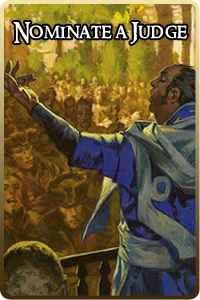 I started judging at the National Championship in 2007, when I failed to qualify through Regionals. Inti Acevedo (Main TO and L2 since forever XD) gave me the opportunity to help at that event. Less than 1 year later, I became L1 and the rest is history. Tell me your favorite Judge story. My favorite Judge story was in the months prior to the 2008 national championships. A lot of players didn’t know the interaction of man-lands with Cryptic Command (the beginning of combat step wasn’t very known then), the Demigod of Revenge trigger “issues”, and the interaction of protection/prevention effects with Everlasting Torment. Basically I had to explain these interactions to the whole community. Do you and your brother judge together very often? Does that get confusing? Confusing, yes, sometimes, because not all of the players recognize us. I let my brother Judge at some FNMs, while I attend to clients. Tell me an embarrassing story from your “Magic” life. I yelled at some annoying “pro” players at a prerelease and got reprimanded by my boss (I didn’t handle it in the best way, but I learned from it). At my mother’s birthday (in 2001), a cousin brought some Magic cards and taught both my brother and me. I’m a bit stubborn sometimes, but i have learned to separate personal matters from professional ones, to avoid conflicts. Working under pressure is something common in this field, so I’ve learned a lot from it. Multitasking is a common trait among Judges, and being on the program has helped a lot developing it. Leadership and delegation of duties are also important things that are learned through hard work. The first time in a leadership position is never easy, but not impossible. Social skills also have been an important part of my learning as a Judge, since I have to interact with people from other communities and countries. If social skills aren’t your main strength, I suggest you MAKE THEM ONE. It helps a lot with communication, and a more easy going environment, without leaving professionalism behind. Learning new stuff every day. Meeting new people at events. Visiting friends whom I haven’t seen in a long time (Judge and non-Judge). Traveling to new countries i’ve never been (GPs and vacations). Speak out (I’m watching you Marcello Klingelfus Junior ). Judges shouldn’t be intimidated, nor hesitate to speak out to other Judges and/or players, when the situation requires it. If something needs to be said, it MUST be said, but remember to do it in the correct way (no yelling, no violence, no aggression). They’re very competitive (as Fabrizio Anteri remarked at a PT), but also they like to help a lot, like borrowing cards when available, testing for important events and giving accommodation to players from outside their cities. Reading. Sci-Fi, Conspiracies and Fantasy are my favorite subjects (in fact, I have almost all MTG Related novels, in physical and non-physical formats). At the break during GP São Paulo 2012’s Judge conference, we went to McDonald’s, and Andres Abujatum ordered a salad, and a burger without bread (WTH?!?!?). The cashier gave a strange expression and the other cashier laughed. Their manager was angry at them for their attitude (we were laughing as well). At a Darksteel Prerelease, I equipped a Tel-Jilad Chosen with an equipment, but I didn’t notice until some rounds later. GP Santiago 2013. Being able to see old friends again was superb. Because it was a GP, the trip was a lot better, because it made the event more easygoing for me (Getting to see Felipe Elgueta , Jorge Peñailillo , Daniel Ortiz , Hugo Carvalho , among others). That I still need to learn a lot, and that things are not easy as they seem from outside (when I was playing, I thought that Judges had the easiest job ever…..6+ years later, I’m still remembering it’s not as easy as it seemed). In GP Rio 2013, I went to the Judge dinner in a cab with Mario de la Carrera , Nemesio Bolaños and Rene Herrera , which had a discoteque inside the cab!!! Exile all creatures on the battlefield. Put an X/X Black Creature Token on the battlefield, where X is the number of creatures exiled this way. 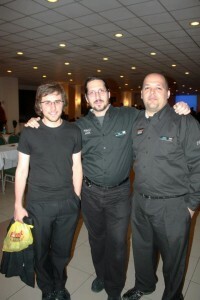 Getting to L2 at Santiago 2011, and being Head Judge of the last National Championships. Koth. He fights a lot and to the very end, no matter what happens to him. Oli is not actually an ardent fan of Munster RFC. The Judge at the last pic is not me!!!! LOL. That one snuck past our editing team. Apologies, the pic in question has been removed! Thank you for letting us know! 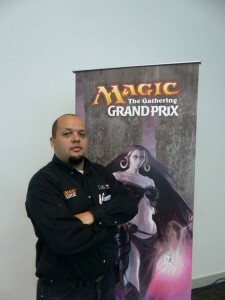 Bro, remember that i met your judge community at GP Santiago 2013. My first trip abroad. To Oli, my Last name is Fajardo, not Farjado, XD. Missing a lot travelling again.